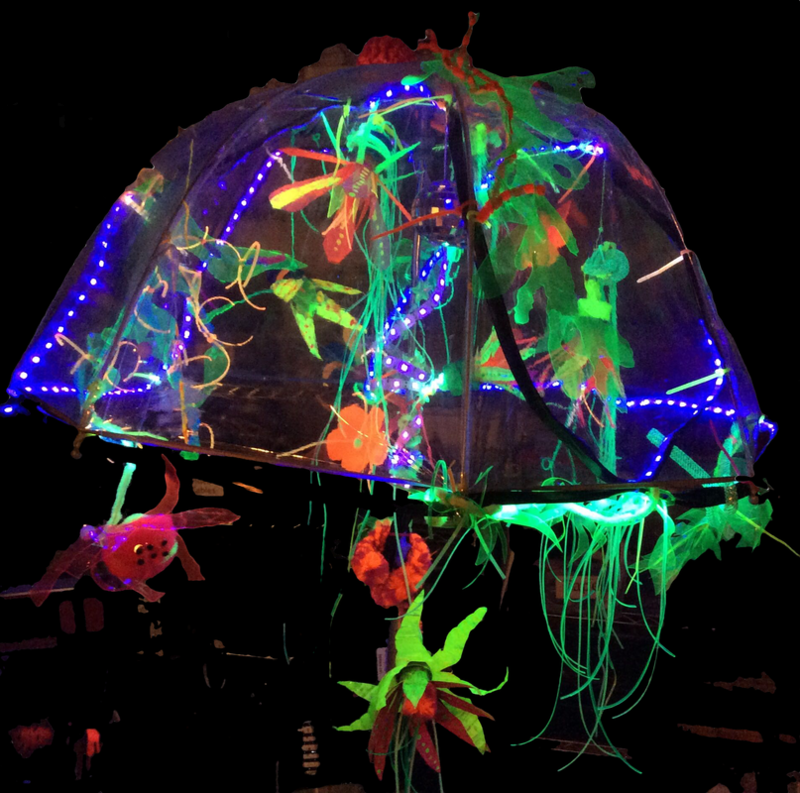 The fluorescent terrarium is full of bright glowing garden creations, ranging from exotic flowers, to aquatic leaves, to meandering vines and ferns, to little spiders and other creatures. 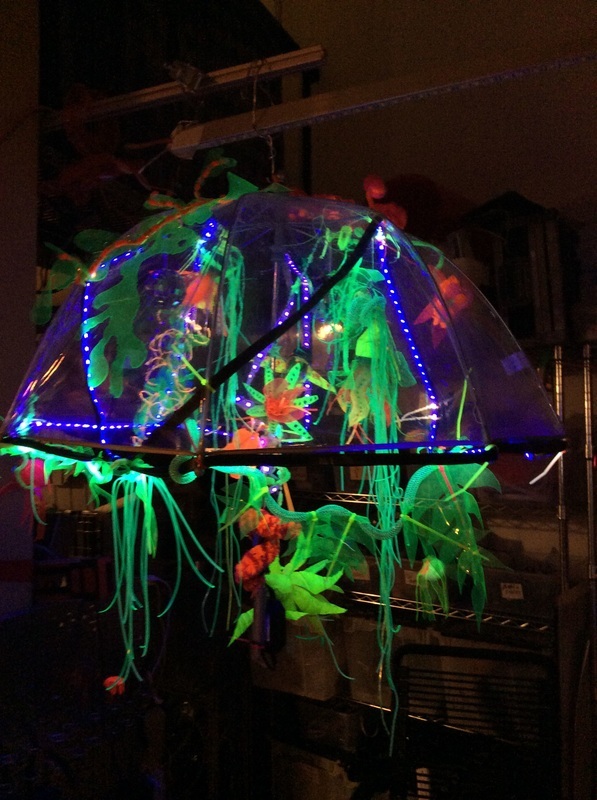 The terrarium uses UV leds and fluorescent materials to create a self-contained space of eye-popping brightness. Created by Ashley Newton, December 2014-ongoing.